After you accept a buyer&apos;s offer to purchase your house, it may be only a few weeks until you finalize your home sale. However, problems may arise that slow down the home selling process. And if these problems linger, they may stop your home sale altogether. As a home seller, it is important to do everything possible to ensure the home selling journey is quick and seamless. If you know what to expect after you accept a buyer&apos;s offer to purchase your residence, you can prepare accordingly. Now, let&apos;s take a look at three tips to help you wrap up a home sale. Typically, a homebuyer will request a house inspection after his or her offer to purchase your residence is accepted. This appraisal will enable a buyer to identify any underlying problems with your home. It also may lead a buyer to request a price reduction or property repairs in order to finalize a home sale. Although you may have allocated significant time and resources to upgrade your residence before you listed it, a home inspector still might identify assorted house issues. In this scenario, you should be ready to negotiate with a homebuyer to find a solution that satisfies the needs of all parties involved in a home transaction. Ultimately, the period between when you accept an offer to purchase your house and closing day may seem endless. At this time, try to remain patient and focus on the big picture, and you may be better equipped than ever before to limit problems that could slow down your house sale. It generally is a good idea to be open to communication with a homebuyer as well. If you keep the lines of communication open with a buyer, both parties can work together to ensure a home sale goes according to plan. For those who are stressed out about the home selling journey, there is no need to worry. In fact, if you work with a real estate agent, you can receive expert guidance at each stage of the home selling journey. A real estate agent is committed to helping you achieve the best-possible results. He or she will collaborate with you throughout the home selling journey and help you identify and address any potential home selling hurdles. Let&apos;s not forget about the assistance that a real estate agent provides after you accept a buyer&apos;s offer to purchase your home, either. At this point, a real estate agent will keep you up to date about a home inspection request and the final results of an inspection. Plus, as closing day approaches, a real estate agent will help you get ready for the big day. Take the guesswork out of selling your house – use the aforementioned tips, and you should have no trouble wrapping up a home sale. I am excited to be back home in Florida and residing in St. Augustine. 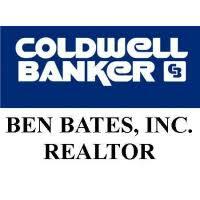 Whether you need help buying or selling a home, purchasing a second home, investment property or vacant land, I will put my expertise to work for you! I pride myself on my ability to listen to my clients needs and connect them with the opportunities that best match those needs. I will work tirelessly for you to ensure you are connected with the best real estate opportunites. I know first hand the challenge of relocating, selling a home and having to find a new one. I have relocated from North Florida to South Florida, New Orleans, Houston Texas and now back home in Florida in Sunny St Augustine. Data last updated 04/20/2019 06:54 PM. The data relating to real estate for sale on this web site comes in part from the Internet Data Exchange (IDX) program of the Northeast Florida Multiple Listing Service, Inc. Real estate listings held by brokerage firms other than COLDWELL BANKER BEN BATES REALTY are marked with the listing broker’s name and detailed information about such listings includes the name of the listing brokers. Data provided is deemed reliable but is not guaranteed. Copyright 2019 Northeast Multiple Listing Service, Inc. All rights reserved.